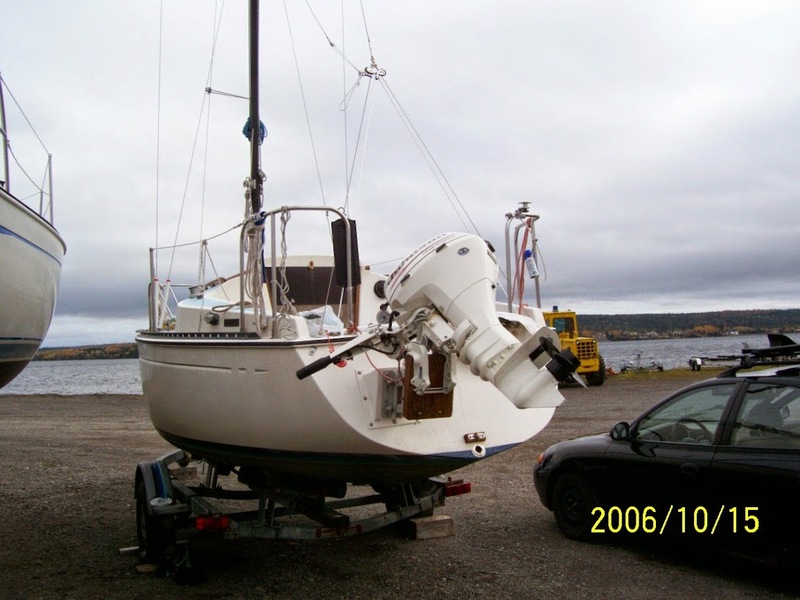 By the middle of October the time had come to haul Serenity out of the water and start preparing the boat for the oncoming winter. Getting it back on the trailer was a challenge, but we eventually managed it. Using the same rope method devised at launching, we pulled it out of the water. The boat was going to need some work, like a new outboard bracket, and some rust protection for the keel, which was looking pretty bad. 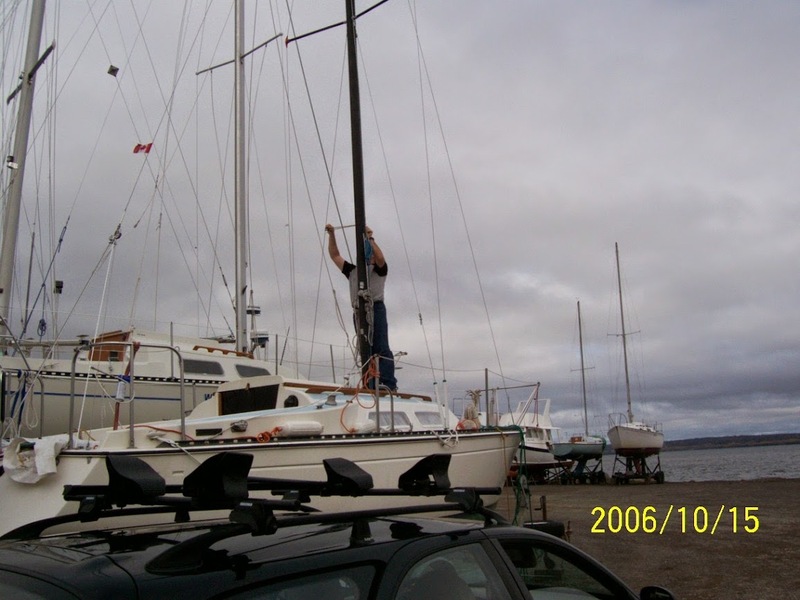 The mast had to be lowered before towing the boat home, so I set about to get everything ready. I had two friends coming by to help me lower the mast. Since one of them was the owner of the tow vehicle, none was hooked up. Since the boat was going home, all my blocks were there. This meant that the boat was just resting on two wheels and the jack. 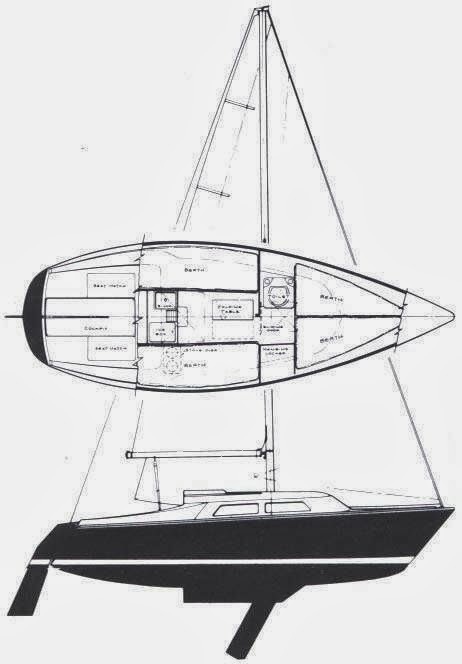 It was quite a surprise when just as the mast was about halfway down the bow tipped up and the stern dropped down, driving the outboard and propeller in to the dirt. I started to move forward to rebalance the boat, but it was too late. In the commotion, the mast got dropped the last couple of feet, breaking the main halyard winch, and damaging the companionway slider. The outboard and bracket were also damaged. The propeller and bracket arms were bent. There was an important lesson to carry over the winter. 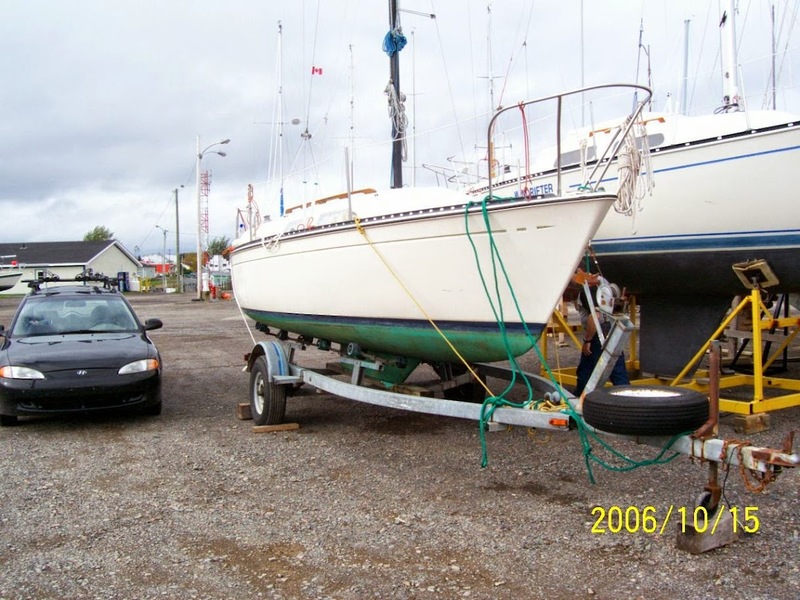 Always have the boat trailer properly secured before attempting to raise or lower the mast. At least no people were hurt, and the boat made it home with no further incidents. The next warm day it was to be covered over, winterized, and set aside until spring.